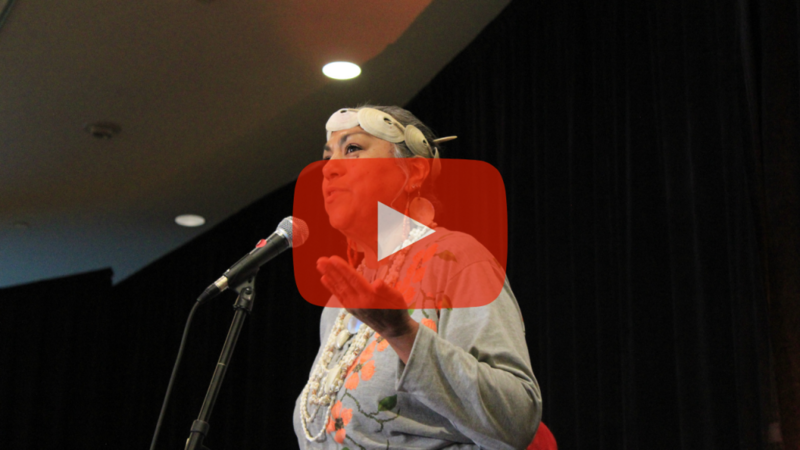 Three generations of the Tongva Tribe begin the day by opening with an ancestral blessing. 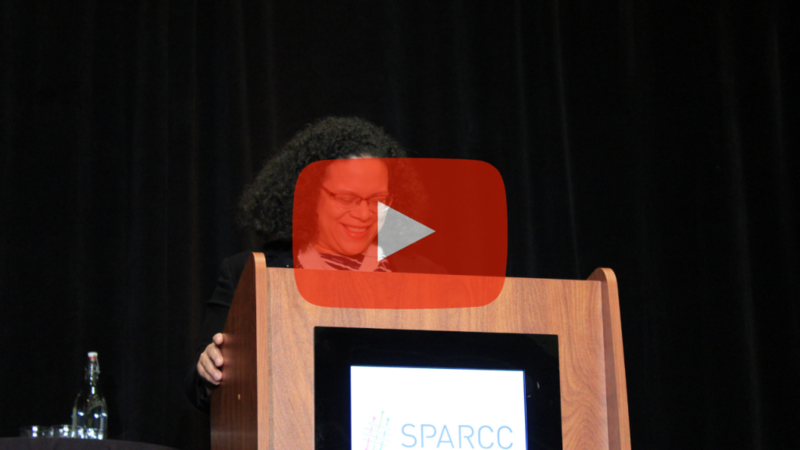 On December 4, 2018, SPARCC hosted a national convening that called on more than 300 activists, researchers, policy-makers, physicians, artists, investors and others from across the country to come together in conversation. We, the people, have the power of collective action to build inclusive communities. That was the message in Los Angeles at SPARCC’s national convening, Investment Without Displacement. 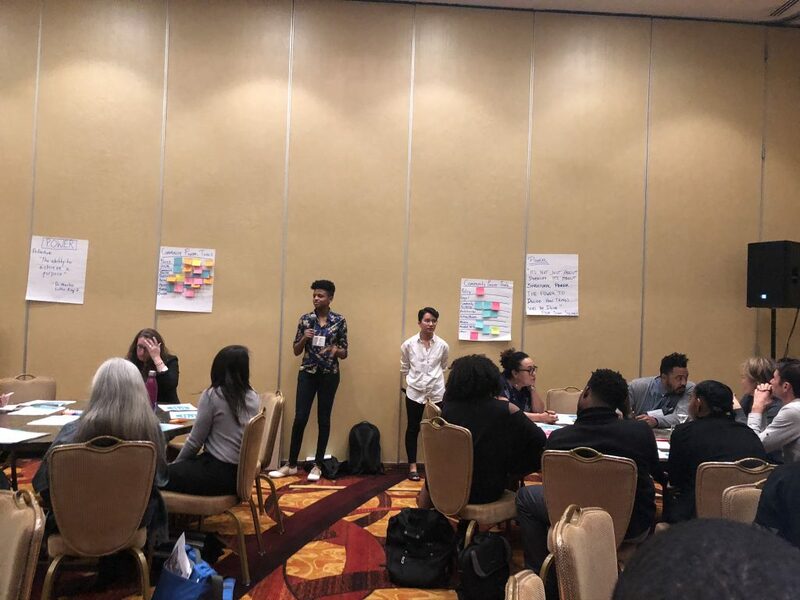 The convening began by acknowledging the historical legacy of displacement and policies that have reinforced racial segregation and ended with solutions-based workshops that created a spirit of hope and the promise of collective action to address the challenges ahead. 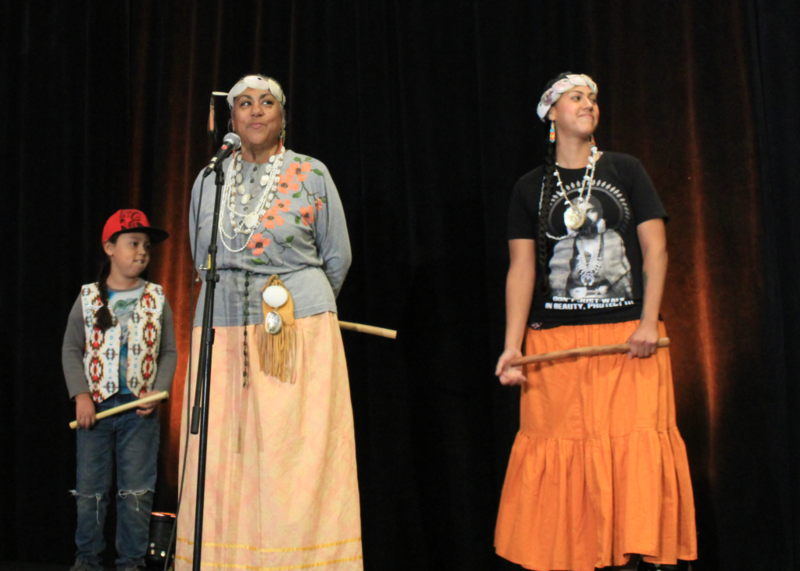 The day opened with a blessing by three generations of the Tongva Tribe, whose Native ancestors inhabited the Los Angeles Basin, reminding us that displacement has a long history. 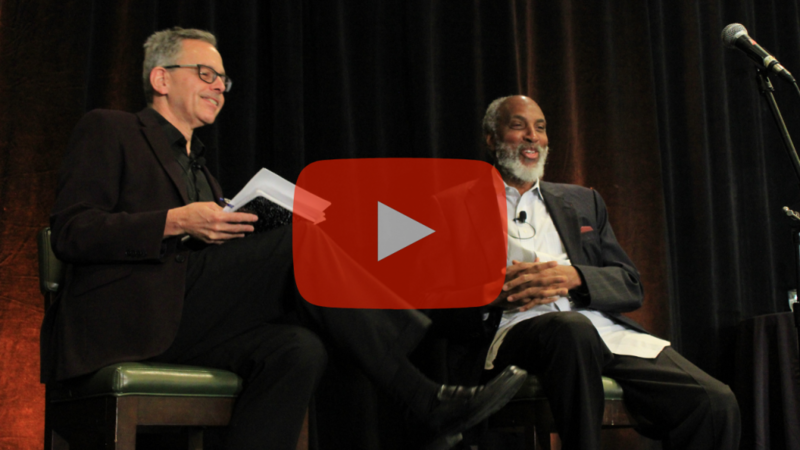 Professors Manuel Pastor and john a. powell spoke of power and race and the cultural erasure that follows when families are pushed out because they can no longer afford their neighborhood. Watch their conversation below. If there was one overriding message, it was that those most impacted must be a part of the decision-making process and at the table when decisions are made. Gone are the days when only power brokers make decisions about the fate of a neighborhood. A more inclusive— and successful— table requires diverse partnerships. 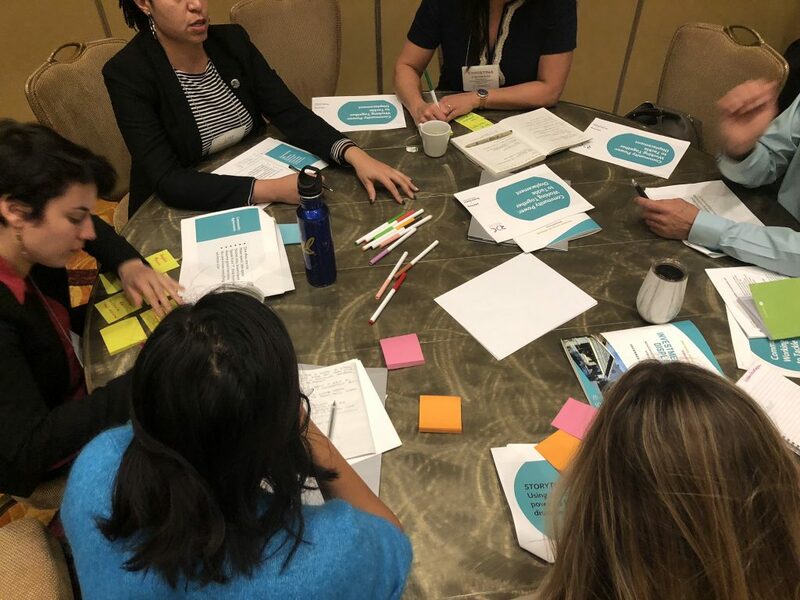 In LA’s Chinatown, where tight-knit neighbors struggle to afford rising housing costs, the SPARCC LA regional collaborative table tapped organized labor, environmentalists, youth and teachers to identify solutions to housing affordability challenges. With new voices, they were able to launch the first transit-oriented development with equity at the center and build 2,000 apartments with subsidies for extremely low-income residents. Change is inevitable but it doesn’t inevitably have to displace people if communities get ahead of it. 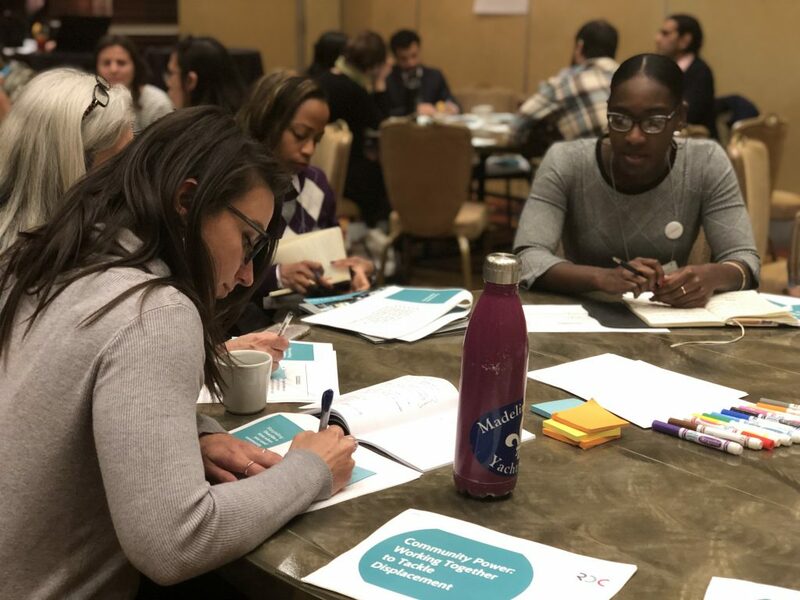 That means using data to spot trends, listening to people’s experiences on the ground, and prioritizing the well-being of all people in community development planning. When old rules and assumptions block the way, it means developing new stories and new policies. So what does that look like? The Bay Area, Atlanta and Chicago have used land trusts to push back against gentrification. The land trust buys the land, and offers long-term ground leases to home buyers. Families own their home, build equity, but should they sell, they agree to cap profits, keeping the home affordable for the next family. The session, “How community land trusts can be used to defend neighborhoods,” discussed the nuances and risks of making these models work. Miami is getting ahead of climate change pressures. As the city’s higher-end beachfront properties begin to flood, residents are seeking higher ground. But those are the neighborhoods historically occupied by lower-income communities. To mitigate displacement, groups are acquiring land and building affordable housing now. In Memphis, many older homes are in disrepair and have extremely high utility bills, which low-income owners can barely afford. The SPARCC Memphis collaborative table helped create a Housing Trust Fund to invest in home repairs as a strategy to both preserve affordable housing and alleviate the economic burden pushing people out. The session, “Using data to understand ‘the market’ in your neighborhood,” explored methods for using data to understand market activity and potential interventions. For decades, wealth and “whiteness” have wielded power. Making change means following the money — asking who pays, who benefits, who’s invested, and which systems benefit which people and hurt others. Chicago’s SPARCC collaborative table designed a new policy to ward off displacement by charging developers a fee for converting two apartments into a single family home. The fees fund a trust that allocates money to seniors and to replace other units. Decades of discriminatory insurance practices have had a destructive influence on communities of color from long-term redlining of neighborhoods to greater risk associated with climate change. 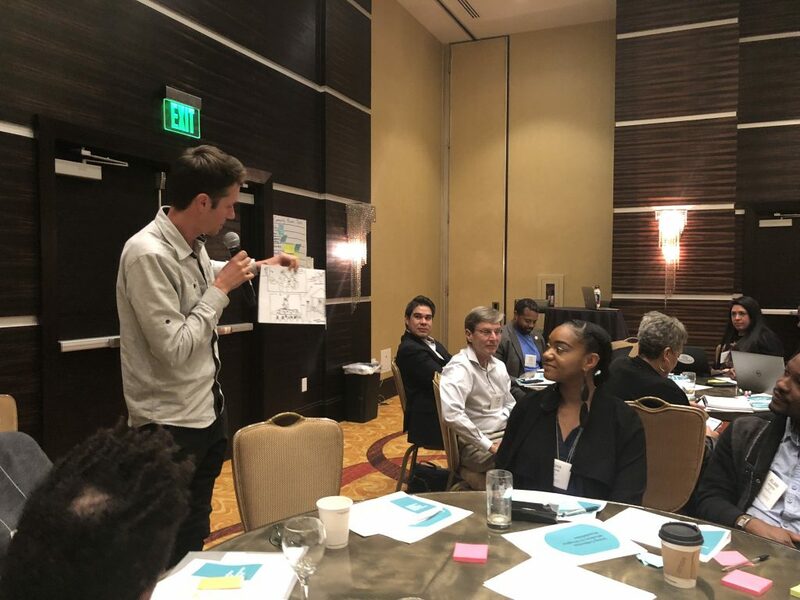 The session, “Reframing investment risk so that communities of color are not at risk,” looked at ways community leaders and industry partners are trying to redefine risk, create new assessment models and pilot community-driven mitigation solutions for reducing climate risks. The session, “How to Harness the Potential for Opportunity Zones to Strengthen, Not Displace Communities,” examined the question of who benefits from opportunity zone tax incentives and shared strategies for cities to prioritize racial equity and social vulnerability in decision making. 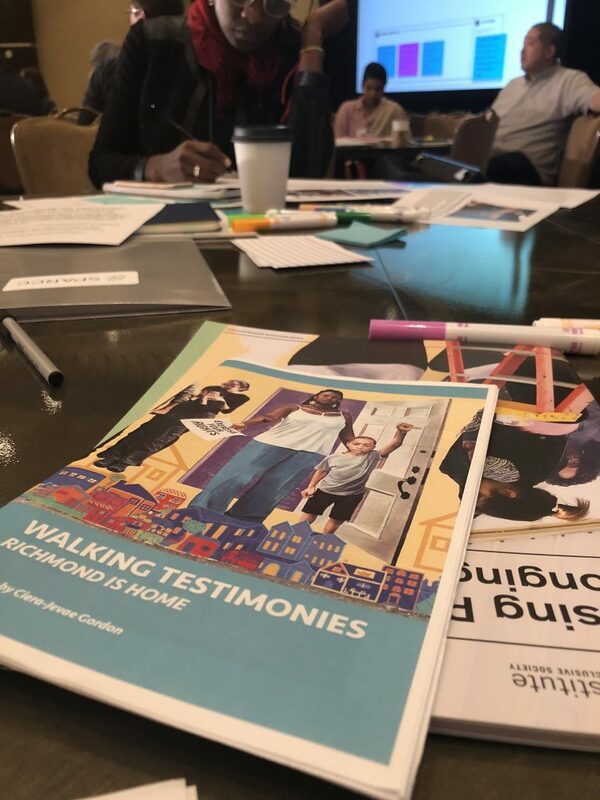 The session, “How communities of color are working together to build power and tackle displacement,” highlighted cross-sector storytelling and community power-mapping as tools to mobilize support and counter displacement. We must create cities where everyone can live and remain connected to the professional and social networks that allow people to thrive. We are at a critical time of shifting the narrative from housing being a commodity to a social good. 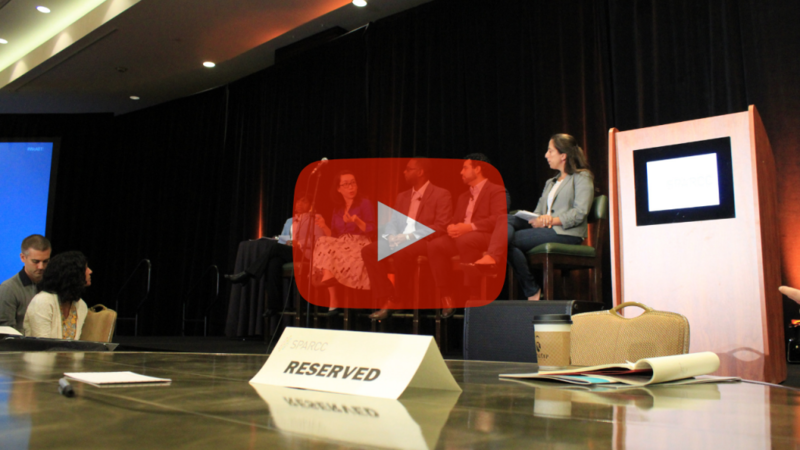 In the session, “Building winning messaging campaigns,” thought leaders Tiffany Manuel and Jeff Chang discussed the need to recognize how all people regardless of income are affected by displacement. Low-income neighborhoods are worth investment according to Lori Chatman of the Enterprise Community Loan Fund in the session, “Bridging the disconnect between Capital Investment and Community.” While returns are lower— Enterprise’s return on investment is about 12 percent— they are stable. Investing in neighborhoods is more than investing in housing. Displacement is a societal problem—employers cannot find nearby workers, families lose important networks of caregivers and supports, schools lose teachers, etc. The costs are paid by all of us. Innovative capital and small scale solutions are being piloted across the country. The session, “Smaller scale development strategies to address big scale market pressures,” demonstrated Accessory Dwelling Unit policy and financing models in gentrifying communities. 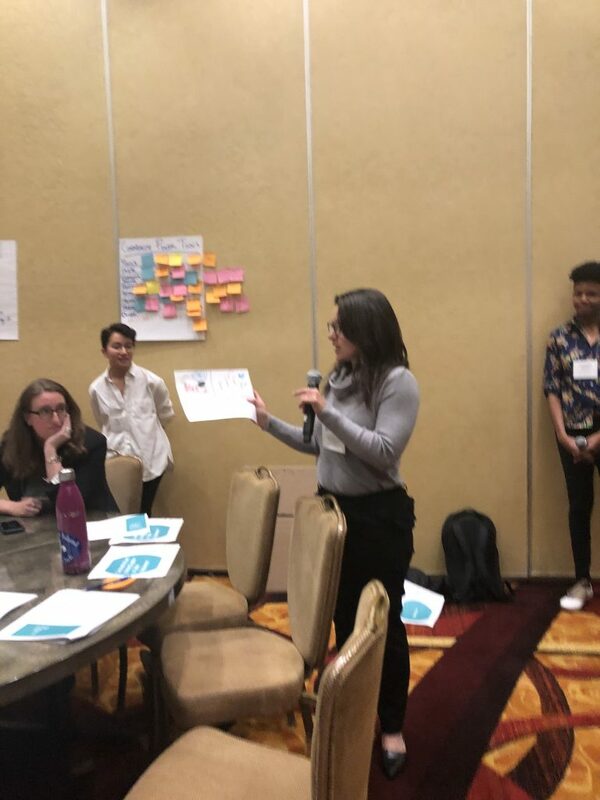 The session, “How to approach community investment in a changing climate ” looked at policy solutions that protect residents from gentrification while simultaneously supporting resilient infrastructure. Examples include the West Denver Single Family Homes+ initiative and City Life/Vida Urbana. The session, “How to engage health sector partners in anti-displacement strategies,” explored the ways health sector partners are investing financial and political capital in housing and anti-displacement strategies as part of broader efforts to improve population and patient health and maintain a strong workforce in the region. The event concluded with reflections by Isela Gracian of the East LA Community Corporation and Quetzal Flores of Artivisit Entertainment. As a group, attendees brainstormed words to summarize the experience of the day. Using these words, the group at large collectively wrote and performed a song to complete the event. What brought us to this moment and how can we move forward?